Ezra Sims Interview with Bruce Duffie . . . . . . Since most of my guests had recordings, I usually succeeded in obtaining most (if not all) of them before we met, and listened to their works to glean insight and familiarity. Generally this exposure was straight-forward and provided the expected continuity mixed with progress. Once in awhile, however, the learning-curve was much steeper, as in this case with Ezra Sims. His musical language was such that it took many more hearings to become accustomed to the language, and further encounters to begin to understand his process. Naturally, he was aware of this extra necessity, and seemed pleased that I had taken the trouble to do such work. Sims was very pleasant to speak with, and was generous in his replies. He knew his work and its impact on others, and made sure that I was on the right track with my inquiries. We had set the meeting-via-telephone for June of 1987, about a half-year before his 60th birthday. On that, and subsequent anniversaries, I presented programs on WNIB, and am now happy to share the conversation in full on this website. Names which are links refer to my Interviews elsewhere on my website. Bruce Duffie: The records have arrived. I’ve been listening to some of them and I’m still trying to get used to the microtonal scales and intervals. So let me begin by asking what you expect of an audience that comes to hear your music, especially with the added barrier of a new scale? Ezra Sims: Of a mere audience of laymen, I expect them to listen to it like they always did. They don’t know what the instruments are playing anyhow. I’ve had no trouble with laymen. I tend to have a bit of trouble with musicians. BD: Musicians who are performing, or musicians who are listening? ES: Musicians who are listening — people who make up juries, people who judge you for the N.E.A. and the occasional critic who is well-trained. I gather that these people have invested so much in the twelve notes as played by the piano that they consider anything else wrong, or they think it’s an assault, or somehow I’m calling in question what they have put so much faith in. I don’t know. They might think it’s heresy. The people that raise the questions are, as I say, generally the musicians. The laymen just either like the music or don’t. BD: Do you find that they do, or do they not? ES: I’ve had very good luck with laymen. They seem to like it quite a lot. 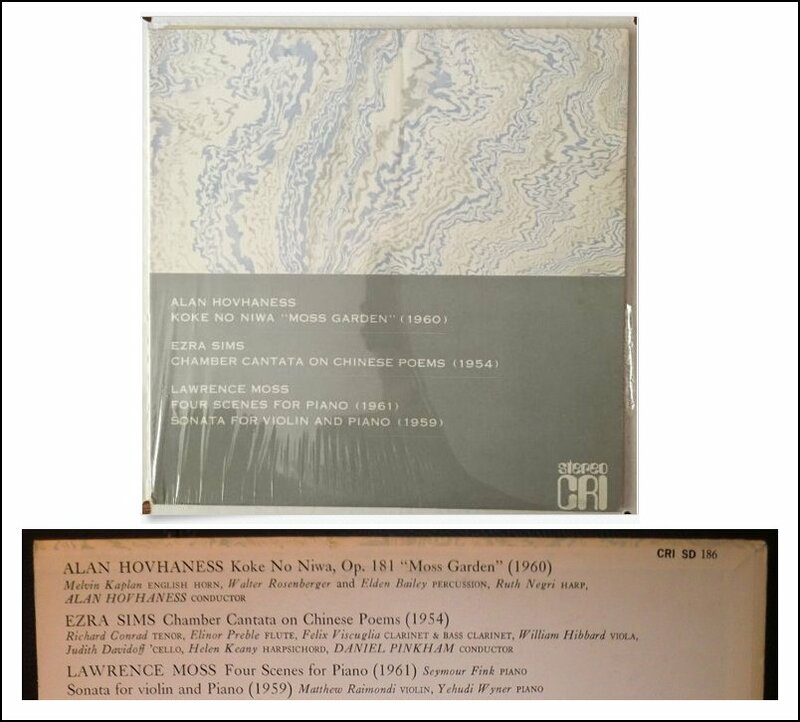 Sometimes, if I feel that they’re worried, I will start them off with the last piece on the last record [shown at right], that solo viola piece, which seems to provide one of the easier accesses to people who come into it at all rigid. BD: The work And as I was saying? ES: Uh-huh. Then to anyone who is worried about the microtones, I tell them to listen to it first, because then they’ll realize that they’re perfectly straightforward and they really have very little effect. We’ve been hearing singers and string quartets, and for that matter even winds, use these intervals for years and years and years and years and years. It was singing in a chorus in Birmingham, Alabama, that really started my ear off in this direction. BD: So we’ve been hearing them for years, but we’re unaware that this is what we were hearing? ES: Yes. Now I’m just using them structurally, to a slightly different structure. I have the feeling that if people have trouble with them, it’s because I’m using what they are not bothered with in other situations to a different structural end. BD: Is the standard twelve note system outmoded? ES: No, oh no. I see no reason for it to be. I myself haven’t written a strictly chromatic piece in years. If I don’t use the microtonal inflections, I’m liable to drop straight back to diatonic music, and I haven’t done a diatonic piece recently, either. But that has been the parallel to my microtonal stuff. After all, I went into microtonal music from a tonal instinct. There are lots and lots of things to say about that, but it finally comes down to an ability to maintain the chromatic saturation that we’re used to, and which seems to be inevitable in this century. In my ears, my pieces retain a definite sense of key, but I don’t know if you get that in the pieces or not. I’m very aware of the key changes and the modulations and everything of that sort. BD: At least in a couple of the pieces, I’ve been aware that I’ve been sitting in one sort of tonal center for quite a while. ES: Yeah, that’s the thing. Of course, I didn’t go out and say, “How can I keep this chromatic saturation and get keys?” What I did was find that I just was so unhappy with the twelve notes and I was having such trouble using them that I had to find out what my ear was up to. It ended up being this eighteen note scale and the seventy-two note chromatic. BD: Is the music your slave, or are you the slave to the music and the intervals? BD: Then who’s in command? ES: It’s my duty to find out what the piece wants. But beyond that, it’s not so much the music versus me, it’s me finding out what I’m up to. I think almost any artist will tell you that there’s some part of him that he cannot really converse with except through the creative process. It’s a lot brighter than he is. I tend to say that my mind knows a lot more than I do. BD: Then you’re really just unlocking what’s there? ES: That’s my feeling, indeed, yes. And that’s what any composer has had to do. That’s the meditation of composing. BD: Are you ever surprised by what you discover? ES: Oh, yeah. I’m in the process of a mess with that right now. I am having a seventy-two note keyboard built, and just today, instead of cleaning out — as I had told myself I must do — I was playing around at my monochord with the opening of a new piece for wind quintet. And it begins to look like certain acoustical things that I’m now interested in are not going to be playable on this keyboard that I haven’t yet had built. This piece is going to require something like a hundred and forty-four notes in the octave, not dissimilar to the thing that Wendy Carlos has come up with recently. BD: Sort of like it’s already obsolete before it’s produced? ES: [Laughs] That’s very likely to be it. Of course, these distinctions are so very fine that I’m hoping is that the ear’s willingness to correct what it hears will operate here, and since this keyboard will be under computer control, I’ll be able to make these shifts at need. But it will complicate things a bit, and I would be happier if I didn’t. I think probably the ear will allow me to write a near-approximation, and it’ll know what’s going on. BD: Is it correct to assume that this creative process — the expansion of these intervals — is going to go on for as long as you live, and that perhaps you’ll never reach a definitive conclusion for it? ES: Yes, indeed! And in fifteen years, if I keep working that long, what I’m doing now will have turned into a new set of my clichés, and I will have wandered on to something else. ES: Well, it’s not a conscious direction. BD: Getting back to the audience, you keep understanding all of these new techniques and the new processes. You keep growing, and yet each audience that comes to you is perhaps a new one. There’ll be people who are just coming to your music for the first time. Should you expect that they come to your most complex pieces right away, or should they consciously start out with your easier pieces — as you suggest, the viola piece first? ES: It seems to me that that’s really not my concern. I started out after I had listened to music at all as a child. I started out listening to everything — Rite of Spring to the Haydn Clock Symphony. People hear Wagner for the first time and they dive right into Götterdämmerung or Meistersinger, and apparently get it! If I’ve made the piece clear enough and if they’re good enough listeners to start off with, they will get it. I cannot decide that people are going to have X, Y, or Z capabilities, and write to that; that way isn’t sensible. You have to write what the music demands. BD: [Laughs] I’ve gotten that answer several times, including from Virgil Thomson! ES: Oh, you bet you! Another way to say it would be, “One writes because that’s the way the piece goes,” and if you write any other way, it will stop itself. I’ve had that happen when I’ve let myself get in the way of a piece! The piece just would not go on, or I’ve made myself unhappy by the piece. So the way to have the best and most fun is to write whatever seems to be required at the moment either by the piece or by that person in the back of my head. BD: Have you basically been pleased with the performances of your work that you’ve heard? ES: No performance is good enough, of course, but yeah. I’ve been extremely lucky, indeed. Musica Viva, that has recorded one of those records you have, has been very good to me, and played me a lot in five or six seasons, and commissioned two pieces after agreeing to do the very first one. Beyond that, I’ve had Dinosaur Annex here in Boston, who have been playing me. 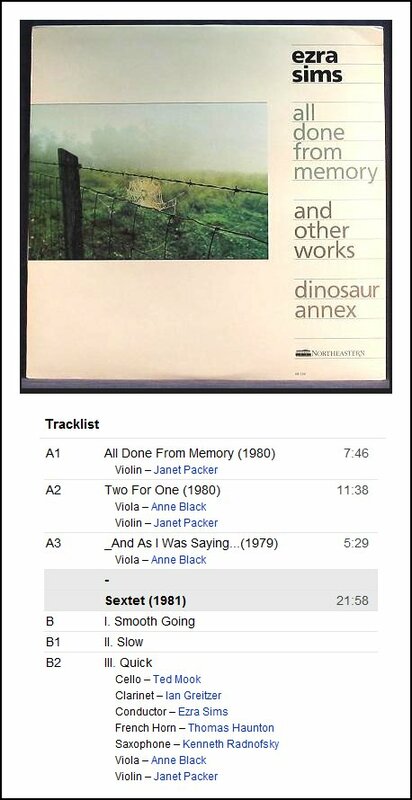 The violinist on that record has been playing me since before Dinosaur Annex existed, so that means from 1973 or something like. She started off playing me perfectly casually, then continued to do so ever since. Most of them have taken to it very easily. It’s been like Martha Graham having her own dance company. BD: Is this your own in-house performing company? ES: Yes. Martha Graham or Merce Cunningham, to take some dancers, had their groups. They had absolutely no hope of ever getting their art out if they had to depend upon the Royal Ballet and the Paris Ballet and whoever was dancing in New York City. They had to have their group that learned how to do that. Dinosaur Annex has been that to me, even though they’ve not played me exclusively. They’re a working performance group that does all sorts of new music. Three composers started the idea of Dinosaur Annex with some performers — two or three of which are still in the group. We founded it as a non-profit corporation, so it’s a family more than anything else. I’m kind of uncle to them all! [Both laugh] They’ve been very good and I’m still writing for them, in fact hoping to do a big piece (actually impossible for Dinosaur Annnex) for the violist and small orchestra. BD: I must ask about the name. Why “Dinosaur”? ES: Ah! And why “Annex?” [Laughs] At the time we organized it, I was music director of a dance company. The director of the company had a young son who was at the right age. One day when the phone for New England Dance Theater rang at her house, she got up from the dinosaur book she was reading to her son and answered the phone with, “New England Dinosaur.” [Both laugh] At that time they had incorporated and were looking for a name, so it became New England Dinosaur. So, there I was. Dinosaur Annex started under their aegis, using their tax number and all that kind of thing. We organized with the help of a group that was playing in the Museum School Annex, doing modern music, called the Annex Players. There was no question that we just simply had to merge the two names. It was all just that simple. We’re not a rock group! We have great trouble with people, sometimes, who think that surely they can’t be interested in us because of a name like that. But that’s what it was. ES: Good for them! Good for them, indeed. BD: Coming back to current times, in your view, where is music going today? ES: Hmmm. Right along beside me. I have no idea where it’s going. [Sighs] That’s a question I don’t concern myself with, actually. What I notice is that there are a number of people doing the kind of thing I do, and it’s getting much more popular. Wendy Carlos, whom I mentioned earlier, is suddenly deciding to take up a theoretical position that I’ve been holding for about two decades now. I’m sure it is not as a result of what I’ve done, but still, to find it happening is interesting. BD: Are you hoping that someone like her will go into it and stay into it, or are you afraid that it’ll be a passing fancy, and she’ll drop it after a time? ES: I have no thought in either direction. It just strikes me as important that such a person has become interested in this. It seems to me that the microtonal aspect of music is getting more and more interesting to more and more younger people. Also there are the youngsters that feel a lot happier if they have a numerical gospel that they can refer to. There are other trends, and presumably they’ll all come to some synthesis such as none of us are going to predict, I suspect. I see a few people who seem to be writing with a kind of casual control of all of this, but no, I wouldn’t begin to tell you where music’s going! BD: Are you optimistic about the direction that it’s taking? ES: What is, is right. Oh, I don’t know what to say. It would look as if we had been under the control of people who were more interested in mediocrity than was quite useful for the art, in this country, anyhow. I don’t see any like Max Davies or Berio or such people springing up in this country; or at least I don’t see them being encouraged half so much as it strikes me a number of much duller people are encouraged by some of the powers. But then again, there are people like me and that is encouraging. This may be a bit smug, but it seems to me that a lot of music in this country has gotten — I won’t say “academic” — but it’s been awfully hard for us to avoid feeling that, good God, if the people out there like it, it must be bad! [Both laugh] I think it was Milton Babbitt who spoke of there being a higher music the way there was higher math, which simply had no concern with the great audience. BD: Do you not want a great audience for concerts of your music? ES: Oh, I would love one! [Laughs] As I was saying earlier, it pleases me that laymen seem to have no trouble with me. My barrier is getting the music to them through the musicians. For example, I wait for a performance in New York of any of these pieces that Dinosaur Annex and Musica Viva have played because the New York people, the hotshot pros, don’t want to do any music that they don’t already know how to play. They don’t have time to learn it! BD: So they’re not very adventurous? ES: They’re adventurous within the terms of what they already know, but there I think that the audiences in New York would like me less than they do some of the other things I hear played. BD: Can you take Dinosaur Annex down to New York, then? ES: You get us the money! [Both laugh] We’d love to! We’d love to do a season in New York! BD: In your music, where is the balance between the artistic achievement and the entertainment value? BD: It seems to me that it winds up being different for each person, and depends on the occasion — whether you’re listening to it in a concert hall with a great artist, or with a small child trying to fight with it in a studio. ES: Yes, and I would never set a note down on the page that I thought, “My, they’re going to hate this!” I can’t imagine it! It is much the same as Beethoven probably thought at the opening of the last movement of the Ninth — that complex dissonance is not complex at all, but the “skra-a-a-nk” that starts it had an artistic necessity. To that extent, yes, I can say they’re going to hate this. But as to entertainment, it seems to me that anybody that goes to a concert of concert music is liable to be entertained by good concert music. That has to be at its highest artistic level. Do I think that there’s anybody who lets his technical concerns interfere with the music? I don’t think so. Even our most austere people say that they write the music that they would like to hear, and that’s certainly the only way we can judge, the only judgment any composer can apply. BD: Then let me pursue this one more step and ask what should be the purpose of music in society? ES: Let me go back to Gertrude. People asked her, “Why do you buy these pictures?” and she would reply, “I like to look at them.” It seems to me that the purpose is liking to listen to it. What’s the purpose of the arts? There is no purpose. You can’t justify painting, poetry, music, fiction, dance, in the same way that you can justify the other arts, such as math. But apparently, they have one. BD: They have a justification? ES: They have whatever it is, their purpose and their justification, yes. It’s interesting to notice that to the extent that we’re aware of the history of art, the things that have lasted, that have come down in this museum culture of ours, have been by Bach and Beethoven and Mozart and Haydn, not by Dussek or Telemann or the village fiddler. Apparently there is some need for the arts. It would be a very brave man to say what that need is, and certainly none of the discussions I’ve ever seen of such matters convinced me at all! In my case I can tell you why I compose, and it may be one of the reasons I listen to some of the music I do — to keep myself saner than I would be if I didn’t. ES: Certainly, certainly. I would like it to; I don’t expect anything of my music. I just write as well as I can, and once I’ve let it out to cross the street, if it gets hit by a truck, it’s its own fault, so to speak. I can only make it as good as I can make it, and hope that this is good enough to make it last. It may be that I will rank as high as Fauré; it may be that people will say of me — as they do about Gesualdo — that I was an interesting and premature exemplar of X, Y, or Z technique. It may be that I’m completely mistaken about my music, but I would like it to last, indeed! BD: Are we perhaps throwing one brand new joker into the mix by having all of these pieces recorded, so that they at least are available to future generations to listen to? ES: There is that, which is a nice thing and a bad thing. Certainly, it allows one to be a relatively minor figure, a relatively unfamous person, and yet have a spread of influence such as might not have occurred in an earlier era. Of course, in an earlier era there were a lot fewer people, and the musical society was much more compact, so it probably evens out. But yes, if it weren’t for records I would be totally anonymous, because my actual performances out in public have not been that many. I hope that if the music does prove interesting in the future, that future scholars and the like won’t insist that the pieces be played exactly as they are on the records, because those are flawed, inevitably. But one takes the best thing one can, and I think that’s a very good thing, indeed. But there are lots of things on the records I wouldn’t mind being different. On the next record to come out, there are some wrong notes in the voice part! But they are so plausible, and it would have taken so much longer to get the right ones. I remember that the first American staging of Wozzeck was so full of wrong notes as to boggle the mind! So I just don’t worry much about that, so long as the piece seems to work. When it arrives at that point, it does so with proper effect. All of my records could be done probably better, I suspect, and certainly differently, with equal effect. So I would hope the records don’t tie down performers. But listening to what people do to Stravinsky, who was the first of the great ones to really be documented through his career, I have no worry along that line! BD: Do you ever go back and tamper with your scores, and perhaps make them a little bit easier? ES: Once in a while I have gone back and made something different when I simply can’t imagine what in the name of God I was thinking about when I did that! It usually is some very trivial matter that the audience might not even notice. I have also occasionally gone back and smoothed out something that had, at the time of composition, seemed to need to be that complex and which later convinced me that it didn’t. But no, I don’t much dare go back and fiddle with stuff too much. Because the process of composing depends on the unconscious — that so little is mediated through the verbal and depends quite strongly on a certain meditative state, a global understanding of the piece — it’s very hard, even for the composer, to work up after he’s finished it. BD: But when you’re originally composing it, how do you know when you’re finished with it? You get to the end and look at it and make your revisions, or tamper with it a little bit, how do you know when to put the pen down and say it’s done? ES: It’s perfectly obvious! [Laughs] I couldn’t begin to tell you! Sometimes I’ve been lucky and had a scheme that revealed itself to me before I really got started on the piece. The String Quartet Number Two (1962) is very much controlled by the ratio of five to four in its harmonies, in its temporal relationships, in the links of movements of sections and this, that, and the other. But when I got to the last movement, I was a little surprised to find myself actually writing out, in numbers and names of the instruments, a kind of road map of the piece, saying how long certain sections would be and what instruments would be playing in them. So by the time I got to actually writing the notes, I rather suspect the notes had already been written somewhere in the back of my head, and it was merely a case of uncovering them and making them fit the plan. It was another one of those things where the verbal got in the way of the compositional. Once I got into it, I realized that I hadn’t noticed certain things in that outline. So certain instruments had to go in — holding pedals or something of that sort — that were not originally in the scheme. But it was over when it was over, when the scheme was fulfilled. For other pieces, it’s a case of finding out where the piece wants to go, and when it gets at the end, it tells you it’s got there! BD: Do you always work on just one composition at a time? ES: Not always, but usually. The piece that’s on the next record, oddly enough, got partly written alongside another piece. Sometimes if I am fiddling with two or three pieces simultaneously, they get to a certain point and one will generally take over. That usually means that the one that was left behind had not quite got itself started, or was still in such an early stage that I could then go back into it and pick it up without danger. But usually it’s one piece at a time. BD: Are all of these on commission, or are some just pieces that you feel you have to write? ES: Very rarely will I write a piece that I have to write — one of my string quartets, and two or three other pieces in the recent catalogue. Usually I have really been kept pretty well occupied by pieces that were not necessarily commissioned for money, but that were requested with a date either implied or stated. BD: Sometimes that’s even better for a composer to be performed, than to have the little bit of cash. ES: Oh, it’s absolutely necessary to me! If I ever ran out of a source of performance, and had to write pieces and then go out and stand by the roadside, begging, saying, “Please, won’t you play my piece?” I don’t think I could. Some pieces I guess I would write, but it’s yelling into a vacuum, a pretty tiring occupation! Once in a while I have done this. Right now there’s an orchestra piece that I may or may not write because it wants to get written. If it feels like it’s festering, going bad in my brain, then I may write it out or at least get started on it. I just hope that the problem doesn’t really arise. I did go through a very empty period for a while, after I’d realized that it was microtone and before Richard Pittman agreed to take on String Quartet Number Two (1962). I wrote one piece more or less on spec, and it was later performed by Dinosaur Annex because there was a technical thing I wanted to explore. And I felt that I needed to do this piece in order to understand where I was at the moment. But I went through a long period of not writing any note-pieces, and was more or less saved only because the dance group that I spoke of needed taped pieces, and needed a lot of them! So in several years I did fifteen or twenty of them. BD: Do you ever explore avenues and find that they just don’t work, that they become blind alleys instead of good avenues? BD: Are there ever any that you just decide are so poor that you just tear them up? ES: I don’t think I’ve ever done that... Well now, wait a minute. There are a couple of occasional pieces that I have since taken out of the catalogue that had to be written and had to be performed. Once I had said yes I’ll do it for them, they were depending on it. Yet, I would not let them out in a general run of things. But that kind of piece usually kills itself before it gets started. If the idea can’t support the intense concentration that’s involved in getting the piece started at all, then the piece doesn’t get started, and it doesn’t go far enough to be dropped. BD: So there’s really a tremendous amount of work that goes on in your mind before you even put the pen on paper? ES: Yeah. Not what the Princetonians call pre-composition, but yes. There is a lot of noodling and a lot of hearing things run through your head, not even knowing what the pitches are, and finding it very hard to pin them down, until finally they begin to clarify themselves. And of course a composer is never without music running through his head, whether it’s his own or somebody else’s, whether it’s something compulsive that just circles or a new idea that he doesn’t even quite recognize at the moment. We think in notes, or we think in music. That’s what makes it so hard, living in this particular culture, with all the Muzak forever interfering with our thoughts! ES: ...when they really should be hearing their own thirty-four seconds! [Laughs] Oh, yeah! BD: Tell me about the new record coming out. ES: The year before last, I got one of the American Academy of Arts and Letters Awards, and that carries with it a side of a recording. ES: CRI, always. In fact, I don’t even see the money; it goes straight to CRI. That’s part of it. They’re doing a set of songs for mezzo and instrumental ensemble called Come Away. It’s four small songs, two Campion texts, a Fletcher and a Hardy for the mezzo with viola and clarinet; and then the Death Carol from When Lilacs Last in the Door-Yard Bloom’d for the voice with the full ensemble. The Whitman starts off with the voice, alto flute, French horn, trombone, and double bass; at the climax, the viola and clarinet re-join. In the first songs, some sample of the full ensemble plays a tiny little introduction, and little interludes of one length or another, between each song. It’s so arranged, as I remember it, that each instrument is in two or three of the interludes. I just forget this kind of thing after it’s no longer on the top of my head. It’s a seamless, single piece. The seams actually do show, but with these interludes, and culminating in the death carol, and then a long, a fairly long coda that combines all the tunes of all the songs. BD: Now, when will this record be out? BD: For the flip side? ES: For the flip side, and that can’t be decided until September. Then that will determine, I think, how quickly the piece comes out. But I’m glad they sent you all of the current records. I listen to the Chinese Cantata now, and it sounds like it was written by somebody else! BD: Really??? You don’t want to disown it, do you? ES: Oh, no, no, no, no, no! I’m very fond of it! But I simply can’t imagine the person that wrote that, even though I can pretty well kind of remember him. BD: It doesn’t have your fingerprints all over it? ES: It probably does, but I have the feeling that somebody else would recognize those more easily than I, since I am so concerned with what I’m doing now. It probably has the chromatic twang, but being a twelve-tone piece, it’s really quite different. BD: As you approach your sixtieth birthday, what has been the most surprising thing that you have noticed either about your music or about music in general? BD: Or alarming or fascinating. ES: I guess the most surprising thing is how unhappily the business of making money has influenced the introduction of music into the normal repertory. When I was in my younger days, I should have thought that by now there’d be a Stravinsky on every other program, the way there is a Beethoven. And I am surprised to find that you hardly even hear Debussy any longer in symphony concerts. BD: With what regularity should the symphonies and chamber groups of the world program the music of Ezra Sims? ES: Every other performance! [Both laugh] I would not have predicted this museum culture, in which the old is used as a stick to beat the new. In earlier periods, people used to apologize for doing something by a dead composer. BD: How can we get the public to demand more new music? ES: I don’t know! I really don’t know. We have a new group, a new class, so to speak, coming up into affluence and power, and when that happens, they usually want opera. That’s another surprise, this sudden resurgence of that hilarious activity. BD: I take it then you will never write an opera? ES: I’d love to, and I think I’d do very well! But there again, I am not about spending the time and money on something I’ll probably never hear performed. Get me a bunch of performers, get any singers at a proper opera house to learn me. However, I do expect to do something, now that I have the keyboard, or when I have the keyboard. There’s something that interests me a great deal. The Elegy on that CRI disc deals with it. It is the discovery that with the notes I use, I can really notate spoken pitch, spoken speech, very accurately. In the middle of that, Elsa has a long section in which she simply speaks the German, and it is the dux of a canon. The viola answers her arhythmically, heterorhythmically, but at the same pitches as the second voice of the canon. And it works! I want to do that with English. I would like to take something like the scene where Mirabell and Millamant agree to the terms of their marriage, and set that in a very fleeting spoken music. It’s the recitative problem which is always the devil to opera in English; how to state ordinary things which work perfectly well in the standard old Italian recitative, but always get pretentious in English. It’s something I would very much like to deal with, and do intend to when I have the keyboard that would allow me to do a more fleeting accompaniment than a body of five instruments which cannot respond quite quickly enough to recitative. That’s why it’s always been done to a harpsichord or piano with just the occasional chord. So that interests me a lot, and I do intend to do some dramatic scenes, then if at all possible get them done by Dinosaur Annex — not staged, probably, just concert performances. Oh, I like the idea of opera, indeed! But I find that a great deal of what happens on some of the larger stages of the world really is a little risible! BD: You’ve not done any teaching of music? ES: I’ve done very little. I taught at the New England Conservatory for a couple of years, and way back when I taught in a high school in Alabama. BD: I assume you’ve been offered a number of positions? ES: Not many, particularly since I’ve gotten into my microtonal stuff. I’m now too wild-eyed for the academy. I didn’t seek them for a long while. I’m thinking that I’d really rather work as a librarian or something parallel to the music, rather than dissipating the compositional energy in teaching. BD: Do you have any advice for a young composer who comes to you? ES: Get it right! I wish I really felt I knew enough about all of this. I guess if I took on a composition student, I’d do one or two things. Either take them through all the techniques and make certain that they’re competent in all the new, twentieth century ones, or else, as Milhaud did for us at Mills, just make them play through the pieces and make my comments. I would, perhaps in certain cases, advise them to stay freelance and in other cases advise them to go out and get themselves into a teaching position in a school as fast as they could. It would depend on the student, but certainly what would come through would be my sense that having been a well brought up and nicely behaved young man, I believed what my seniors told me a little too much. BD: In terms of not rocking the boat? ES: In terms of what was respectable music and how to behave. Maybe they shouldn’t let themselves be brainwashed, but then again, I’m getting old enough that I sometimes think the young need to be sat on a little bit! I really don’t know! I guess I have a feeling that that would be what the student is. But the main thing is to get it right! Don’t let anything out until it’s right. BD: This won’t induce a sort of paranoia? ES: No, and if it does, then fine, we’re spared that music! Milhaud was very, very great that way. I was still a clumsy composition student, and I hope I’m not so now. I would have trouble with a spot and would think that I’d glossed it over, and he would go inevitably to that spot! [Both laugh] He would say, “Here doesn’t seem to work very well,” or something of the sort, and then I’d say, “All right.” I’d admit that I’d have to go back someplace else farther in the piece, and see to it that I didn’t come to that thing. It was probably a much larger problem than just that little glitch. That and teaching me to cut, to not leave everything in a piece just because I had been able to write it down, were the two best things he ever did for me. And that might be pretty much what I would say to youngsters. BD: When you tell them to “get it right,” is it reasonable to expect someone of a very young age to know when it is right? ES: Well, as right as he knows! Then, if he’s coming to me, listen to what I say when I tell him that it doesn’t sound like he’s quite made it! He maybe can then go back and rework; work and work and work, but he should be aware of that problem. I have a feeling that the good students teach themselves. It’s useful to have a teacher around, but after a certain point they teach themselves. It’s mainly just having someone around who’s been through it all before to bounce it off. Some of them get pig-headed and won’t learn anything, and suffer the consequences. And some learn what you don’t think you’re teaching them. Have you ever looked at the facsimile manuscripts of The Waste Land that was published some years ago? Eliot’s typescript is reproduced with Pound’s and Mrs. Eliot’s criticism. What is fascinating about it is that Pound would strike out a whole section, saying it’s perfectly terrible; maybe such and such a line is decent. Eliot would next appear with all of that thrown out, including the line that Pound said was decent, having rescued some line somewhere else that Pound hadn’t noticed, knowing that that was the thing on which to build! This happened often enough to be quite noticeable. It turns out that Pound, in the situation of teacher, critic, etcetera, is recognizing a problem. Eliot, as the artist, is learning from it what should be learned, and it is not what the teacher thought he was teaching. That’s what I’m talking about when I say that the really good student teaches himself. BD: The problem is pointed out, and then it’s up to the student to find out how to solve that problem? ES: Yeah, and the teacher has to be prepared for the student to learn something that the teacher didn’t mean. BD: The teacher shouldn’t simply give the solution? ES: No, probably not. He can’t, usually. He can suggest solutions. I remember Hindemith at Yale, obviously couldn’t keep his pencil off people’s paper! [Both laugh] That’s why Easley Blackwood wrote twelve tone music all the time he was there! Hindemith couldn’t deal with that that way! BD: This has been a fascinating hour! I have learned a great deal about you, and about life, too! ES: Oh, my! [Laughs] I didn’t realize I was teaching about either of them, but fine. I’m glad! BD: It’s interesting to probe the mind of a creator. I am not a creator; I’m a passer-along. I find things that are worthwhile, and then pass them along to the audience. ES: What would we do without you? BD: I hope I’m being a good ombudsman that way. I wish you, of course, continued success, and hope that your sixtieth birthday in January is a happy occasion. ES: Thank you. I do hope I get to meet you in person. I’ve enjoyed this myself. 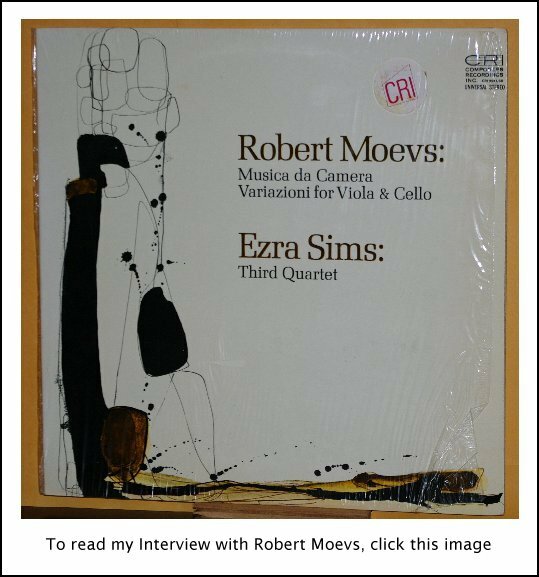 Ezra Sims was educated at Yale University and Mills College, where he studied with Quincy Porter and Darius Milhaud, respectively. Since 1958 he has lived and composed in Cambridge, Mass., tapping into the Boston area’s musical resources. 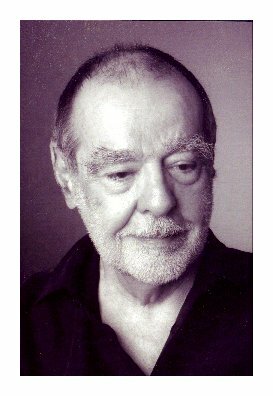 He is known mainly as a composer of microtonal music. 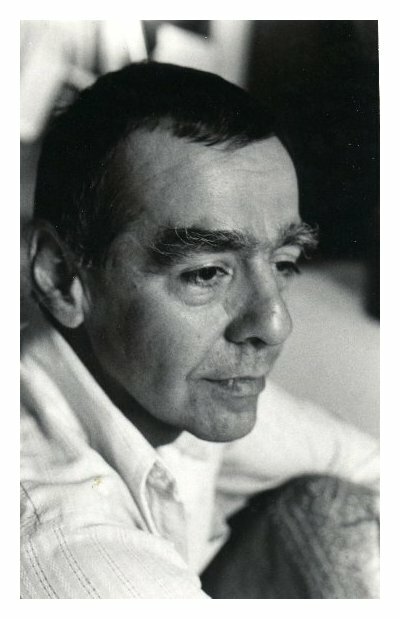 He made his professional debut (with his earlier twelve-note music) on a Composers Forum program, in New York, in 1959. In 1960, he found himself compelled by his ear to begin writing microtonal music, which he has done almost exclusively since then — aside from several years when he made tape music for dancers, musicians at the time being generally even more afraid of microtones than they are now. His music has been performed from Tokyo to Salzburg. 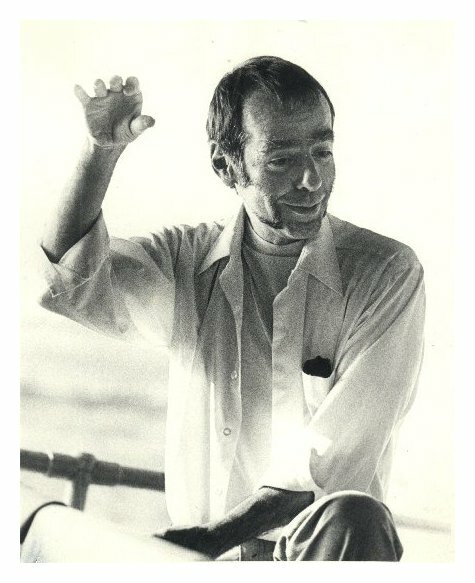 In 1976 he co-founded the Dinosaur Annex Ensemble with Rodney Lister and Scott Wheeler. 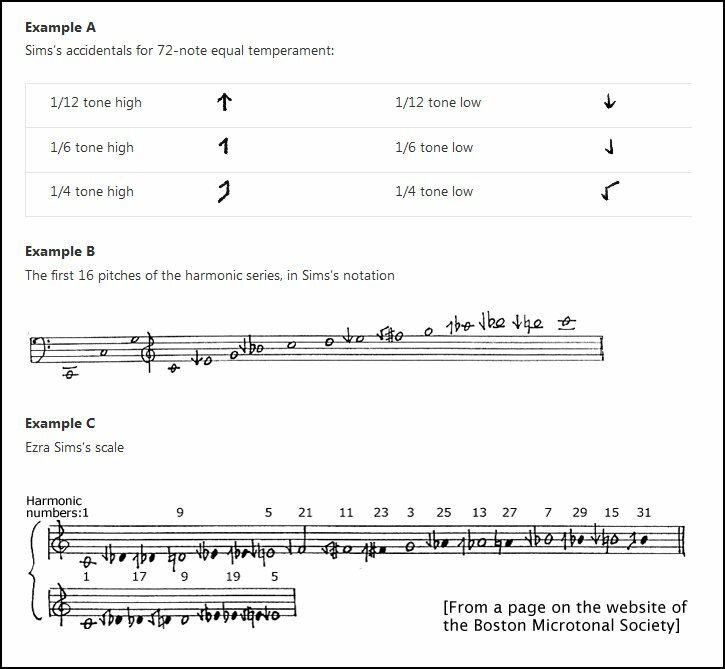 Sims’ microtonal notational system has become the standard for Boston’s unusually high number of composers and performers using seventy-two notes. (Most of the Dinosaur Annex musicians are fluent with it, and Joe Maneri uses it, as does everyone who passes through Maneri’s course at the New England Conservatory. Also, cellist Ted Mook has created a font for Sims' microtonal symbols. He has published articles on his tech­nique in Computer Music Journal, Mikrotöne III, Mikrotöne IV, Perspectives of New Music, and Ex Tem­pore. This interview was recorded on the telephone on June 6, 1987. Portions (along with recordings) were used on WNIB the following January, and again in 1993 and 1998. 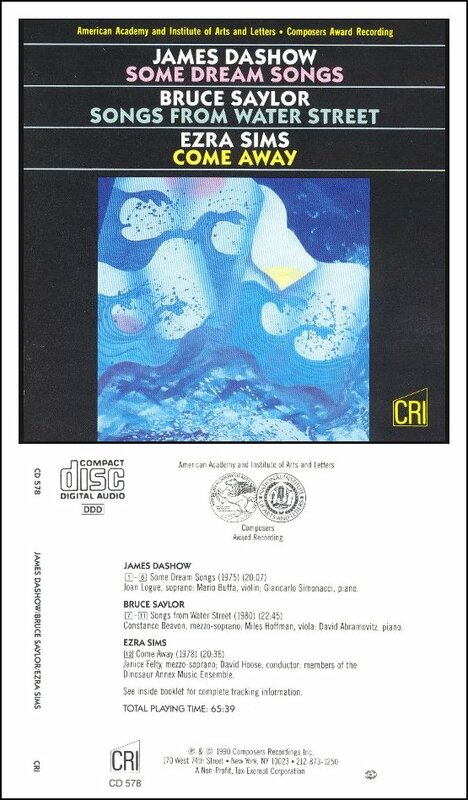 A copy of the unedited audio tape was placed in the Archive of Contemporary Music at Northwestern University. This transcription was made and posted on this website in 2010.